Here’s the best way to knock this assignment out. Once you have these ribbons, the UCAV with be an available unlock for the Support class. UCAV stands for Unmanned Combat Air Vehicle. It’s basically a small airplane fired upward out of a tube which you place on the ground. It can damage aircraft, armor, and infantry, making it very versatile. Lead your target when you launch the UCAV. Aim the tube where you expect your enemy to be by the time it flies to the target. Once it’s deployed, you have 10 seconds of flight, as shown by the indicator bar in the lower right. This usually doesn’t give you enough time to turn around, so try to hit your target on the first pass. Drop an ammo box if you want to replace the UCAV after you’ve fired it. Resupplying takes 90 seconds (increased from 20 seconds in the December 16th patch). Sometimes it doesn’t reload until you respawn, which is likely a bug. Wide open maps such as Silk Road suit the UCAV well since there are fewer objects to accidentally collide with. If you’re lining up for a vehicle or soldiers on the ground, be sure to launch the UCAV from far away (about 150m) to give yourself plenty of time to aim it back to the ground. The UCAV will do 50 damage to armor and aircraft along with disabling them. Use this to slow down enemy attackers. 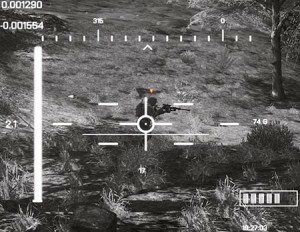 Enemy infantry can be killed in one hit from the UCAV. It can be very effective at clearing rooftops such as in Siege of Shanghai. If multiple enemies are grouped close together, aim to the middle of the group. The UCAV will of course detonate when it hits something, but you can also detonate it at any time you choose. This is helpful if you’re about to pass by your target without hitting it directly. You can do this by exiting the UCAV at just the right time, or by clicking the fire button if you have the UCAV Airburst unlocked. Read on for more info. The airburst allows you to detonate the UCAV in mid-air, and requires completing an additional assignment once you have the UCAV. This assignment can be tricky due to the bombing run requirement. The good news is, on the way to earning this assignment you’ll unlock the SUAV. Also, remember that you can detonate the UCAV in midair by simply exiting it, so the airburst unlock isn’t really that important. That said, if you want to complete the I’m Dynamite assignment, you’ll need a lot of bombing raid kills. Bombing Raids are featured in the China Rising maps on Conquest mode. Near the centermost control point of the map (usually C or D), you’ll find a trailer as pictured below. 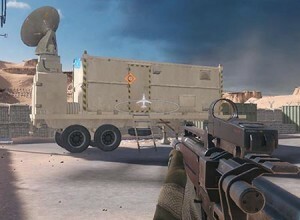 If the bomber is available, you’ll see a white image of a bomber in front of the trailer. You can start a bombing raid even if the enemy controls the nearby point. Once you start a bombing run, you cannot be killed and you can even capture or hold control points from inside. Just watch out when you get done, because an enemy may be waiting for you to pop out of the trailer. Once you’re in the bomber, you can spot enemies to help you aim. Click the fire button to mark your target. You will get 4 bombs between reloads. The bombs take several seconds to reach the target, so it’s best to look for enemies that aren’t on the move, such as snipers or vehicles capturing control points. If you don’t wait too long to fire, you can reload twice on a bombing run for a total of 12 bombs. With your first bombing raid kill, you’ll complete the Safe Raiding assignment, since its only requirement is get a kill with the bombing raid. The SUAV is a Recon class unlock. It stands for Small Unmanned Aerial Vehicle. It’s similar to a MAV, but much more capable. Launch the SUAV from somewhere that you have cover, since you’ll be unable to defend yourself during flight. Spot all enemies you see to help teammates kill them and to earn you spotting points. Aim the SUAV at vehicles for a few seconds to laser designate them. Teammates will often lock on and hit designated targets, earning you extra points. The SUAV can roadkill enemies. To most effectively score a roadkill, aim right for your enemy’s crotch. Yep, the crotch. Aiming for the chest or head usually won’t score you a kill. If an enemy is prone, try to pass through the full length of their body to have the best success. As of the December 16th patch, the SUAV will be destroyed when it hits an enemy. 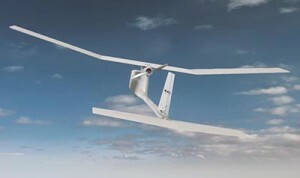 The SUAV can fly for 60 seconds at a time. You can keep an eye on how much time is left with the bar that’s displayed near the lower right of the HUD. As with the UCAV, flying the SUAV on wide open maps will make it easier to find targets and avoid unintended collisions. Ammo boxes can resupply the SUAV in just a couple of seconds. Aim here for a roadkill. Note the flight time remaining indicator at the lower right. I hope you’ve found these tips helpful. Though there have been a lot of complaints that the UCAV and SUAV are cheap or overpowered since they’re remotely operated and hard to stop, they’re a part of the game. It’s best to learn how to use them effectively in the right situations, as well as how to avoid getting killed by them. If you come up against an enemy team with a lot of UCAV’s and SUAV’s, just try to keep moving and use cover as much as possible. Remember that an aerial vehicle user has to stay put to fly it, so that’s one less person to defend an MCOM or capture a control point. Use the kill cam to find the operator’s location if they’re really causing a problem and you’re looking to seek revenge. Great write up! I’m having a bear of a time getting the required kills. I wonder if you have to be on an AS map, or can you get your kills on a Conquest map? Kills with the jet on any map will count. While high-ticket Air Superiority servers should offer the most jet targets, a high ticket Conquest server might be preferable over standard ticket AS as long as you can find unoccupied jets. Thanks so much for the help. I wasn’t even sure what the bombing raid was until now, and trying to get the jet fighter ribbons is gonna be hard, much easier with your tips though. I also didn’t know what the airburst was, but now that i do, it sounds pretty sick. 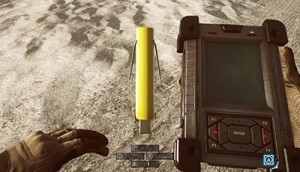 Also, with the UCAV, what about throwing down an ammo pack, shooting the empty tube, and then placing a new one (from the ammo pack) for a faster reload? Thats what i do with mortars, i get a whole new 4 rounds instead of waiting. I’ve tried that out with the UCAV, but it doesn’t seem to make any difference in reload time. When playing multiplayer or even at the test range the jets don’t show up as an option to even get into, how come? I’ve never heard of that problem before. Are jets an option for you to enter in Conquest mode? When attempting to get jet fighter ribbons, do the kills have to be other jets? Or can they be helicopters, or tanks? Kills against any enemy target will count. Do they have to be fighter jet kills, or can they be kills with the bomber planes like the warthog.